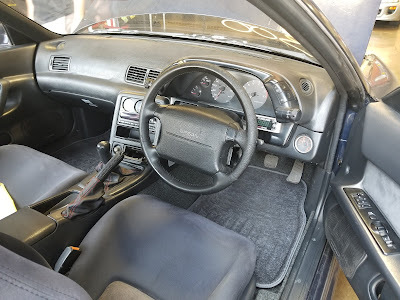 A 326 white, OEM airbag equipped R32 GT-R.
Airbags were an option on the drivers side for the series 2 R32 GT-R's. However it was not a widely taken option. GT-R Registry has the full breakdowns of how many of each model code were produced. 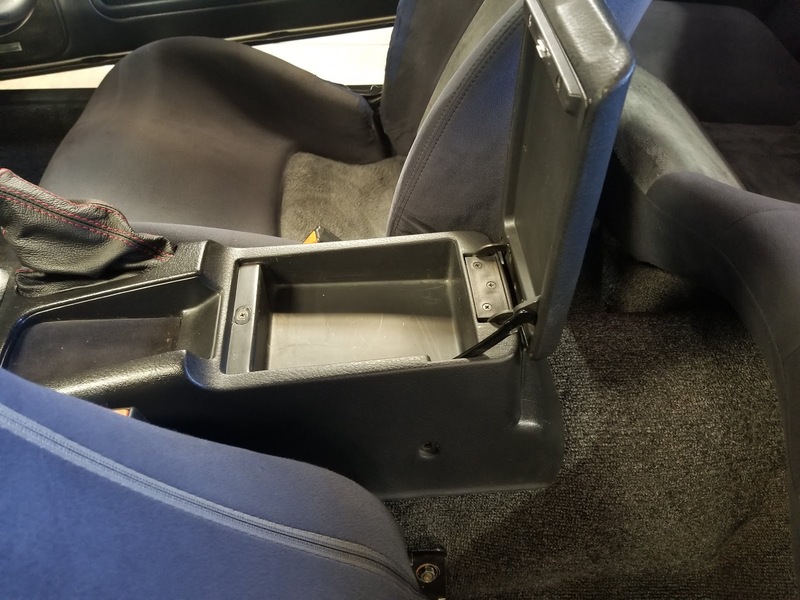 The first thing I noticed was how much shallower the center console was. The normal one is about 5 inches deep. 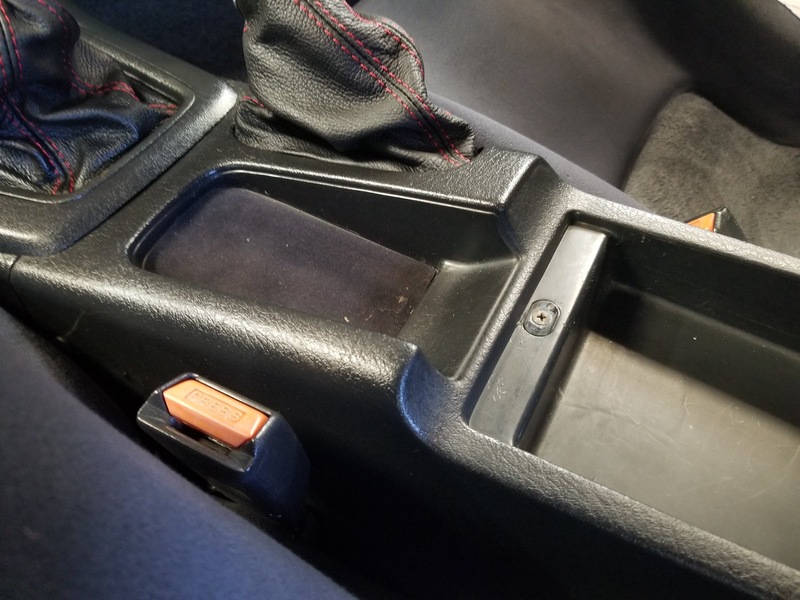 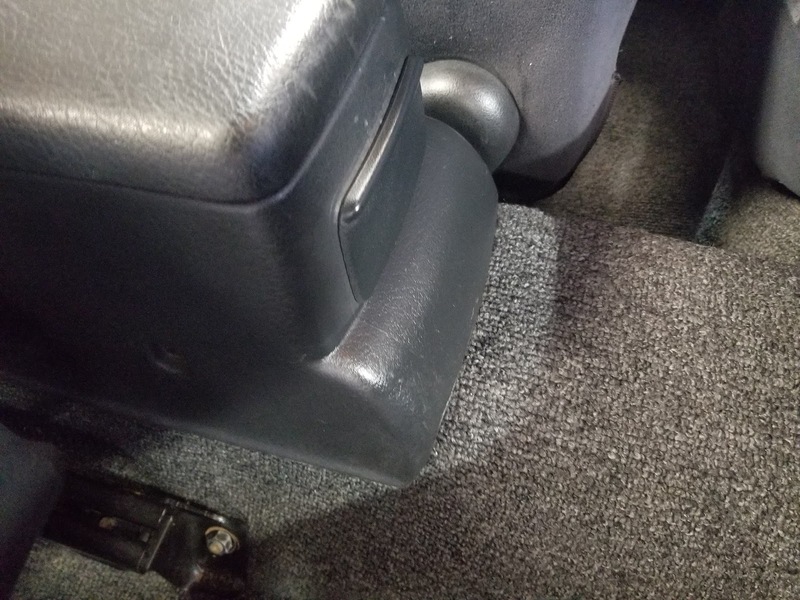 The normal center console is about straight down from the top edge. This has a different shape. The forward pocket is also a little different shape. 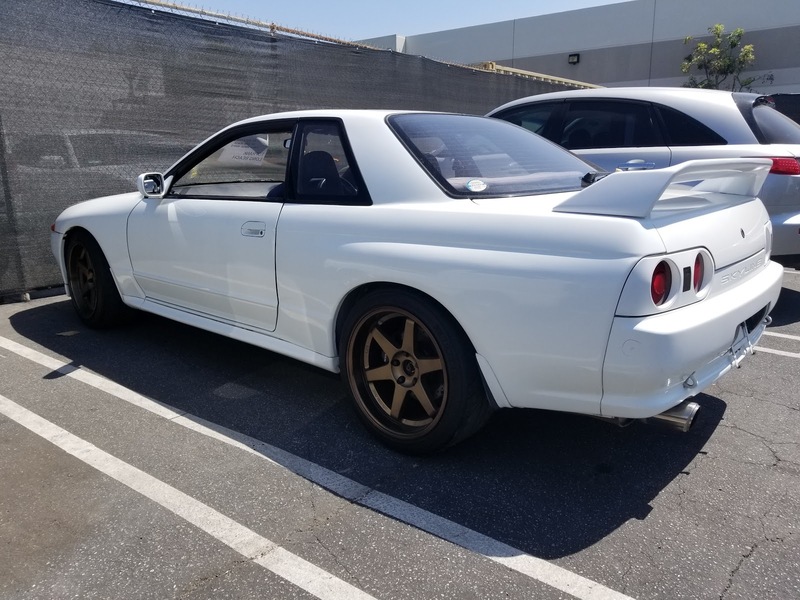 Model code breakdown via GT-R Registry below. 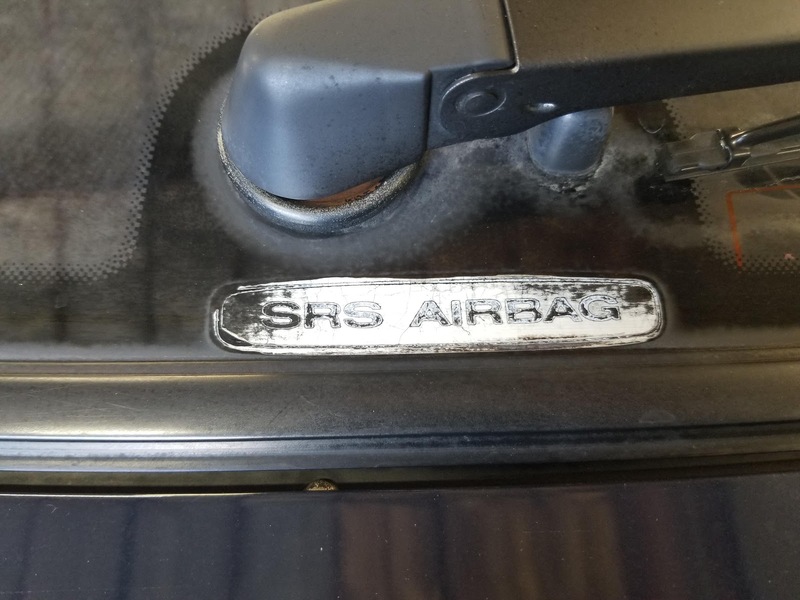 One more OEM airbag equipped car.